Please click on the name of a club to obtain full details of address, contact phone numbers, etc. Alternate Tuesdays, from 8.00 - 10.00. Regular nationally famous guests alternating with singers nights when it is your chance to 'have a go' if you want. 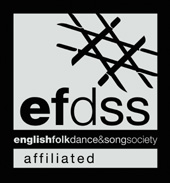 Folk music events in the Chester area. Folk North West meet mostly on the second Sunday of the month from October to April for dancing, including the opportunity for more challenging dances. Meets Tuesdays 7:30 - 10 pm. Practice with Dawnswyr Delyn at Church Hall, King Street, 8-10pm. Mixed social dancing with experienced dancers and novices welcome. Live music from "Flaxmere Ceilidh Band"
Contact Margaret McFarlane 01695 423882. Denise is also the contact for "Seven Stars" Sword and Step Dancers. on the last Saturday in every Month. "Live Band & Caller" 8pm to 11.30.pm. Great for all ages. No partners needed.